Martha Berry reaches out to Mr. Crane and lets him know that she is doing better. 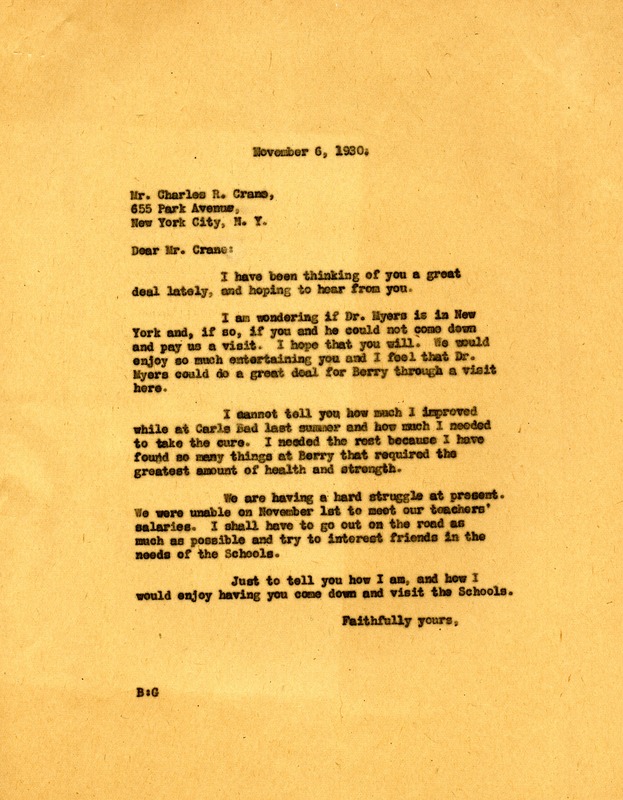 Martha Berry, “Letter to Charles Crane from Martha Berry.” Martha Berry Digital Archive. Eds. Schlitz, Stephanie A., Chelsea Risley, Angela McCavera, et al. Mount Berry: Berry College, 2013. accessed April 24, 2019, https://mbda.berry.edu/items/show/12211.